You know the old saying, “You don’t know what you’ve got until it’s gone.” We all take our eyes and sight for granted; think about what you would do without it. Would you still be able to perform the duties on your job? March is recognized as Workplace Eye Wellness Month in an effort to spread awareness about the dangers of workplace eye injuries. According to the U.S Bureau of Labor Statistics, there are more than 20,000 workplace eye injuries every year. An OSHA report found workplace eye injuries account for $300 million a year in lost production, medical care and workers’ compensation. So, what should you look out for in order to prevent eye injuries? The most common causes of workplace eye injuries may be microscopic. Tiny bits of metal or glass, particles of plastic or just a drop of a certain chemical could cause eye injury. There are more noticeable hazards as well, in particular— tools, sparks or lasers. As a matter of fact, there are precautions you can take to prevent sustaining an eye injury that could cause permanent damage, vision deterioration or even blindness. 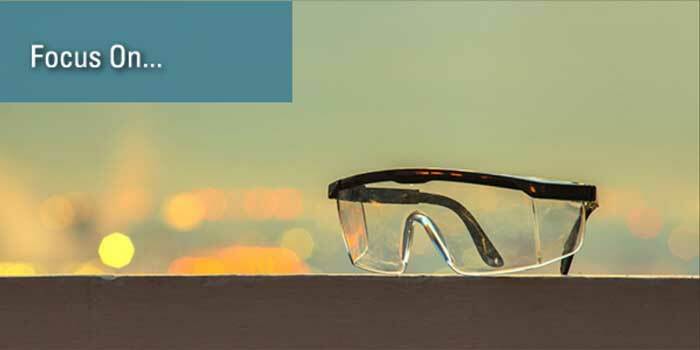 Wearing the appropriate protective eyewear such as safety goggles, glasses, welding shields and/or a helmet with a face shield can prevent more than 90% of serious eye injuries. Next time you’re performing your job duties access the area, remove or make a mental note of anything that could possibly cause eye injury. For more information on how to recognize and treat workplace eye injuries visit the American Academy of Ophthalmology website.